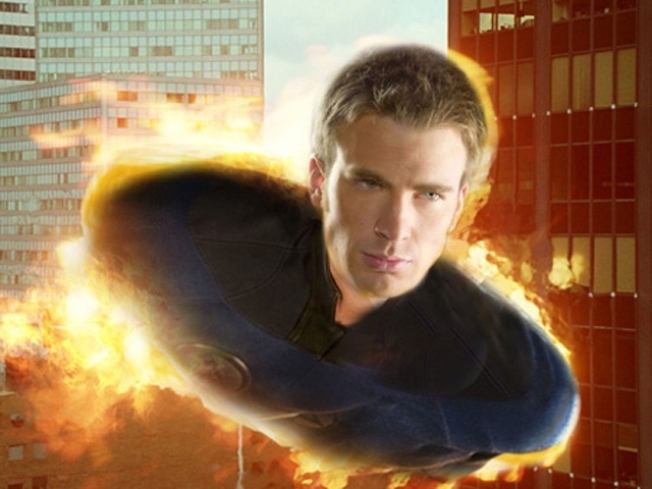 "The First Avenger: Captain America" leading man, Chris Evans, says he's not sure if Cap will run the squad. Over decades of Marvel Comics history, Captain America has been the leader of Earth's mightiest heroes, The Avengers – but on the big screen, "The First Avenger: Captain America" leading man, Chris Evans, says he's not sure if Cap will run the squad. "I don't know if they're going to make him the boss," Chris told MTV News at WonderCon over the weekend. He added that the presence in the 2012-slated "Avengers" film of Robert Downey Jr., who plays Iron Man/Tony Stark, would make even Captain America intimidated. "I don't think anybody tells Downey what to do, and that's what makes [him] Downey," Chris said. With "Iron Man 2" due this summer and further set-up films "Thor" and "Captain America" on their way in 2011, several of the pieces of hero team-up film "The Avengers" are beginning to come together – including a possible director. The Los Angeles Times' Hero Complex blog reported that Marvel Studios "insiders" confirmed that Joss Whedon is on a "short-list" for the director's chair of the summer 2012 tent-pole, after online reports broke last week. However, a Marvel source told Access Hollywood that the "Buffy The Vampire Slayer" and "Dollhouse" creator is on a short-list for "Runaways" – a youth-oriented, lesser-known Marvel property that's also in feature film development, and happens to be a series for which Whedon himself wrote for a time. The source did not comment on "The Avengers" reports. When reached by Access, Marvel reps would not comment on the writer-director's possible connection to either film. Meanwhile, Deadline reported on Monday that "Nick and Norah's Infinite Playlist" direct Peter Sollett "is negotiating" to direct "Runaways."